How Ayurveda Deals with Kidney Disorders? Chronic Kidney Disease (CKD) is a global threat to the health of an individual which is manifested only as a biochemical abnormality. The loss of excretory, metabolic and endocrine functions of the kidney leads to the development of renal failure. Most of the patients of kidney disorders depend on dialysis or transplant. In Ayurveda, CKD is described as Mootra Dosh Vikar. Kidneys are the root of Medovaha srotas. According to Master Charak, the causes of Mutra dosha vikar are suppression of the urge for micturition, disorders of wasting or malnutrition or severe traumatic injury. In Charak Samhita, it is described that kidney and bladder are the root of the channels carrying urine and fat. The vitiated doshas while coming in contact with the opening of these channels obstructs them, which results in the manifestation of kidney disorders which becomes chronic due to vitiation of the doshas and due to the vitiation of homogenous and heterogenous dhatus. 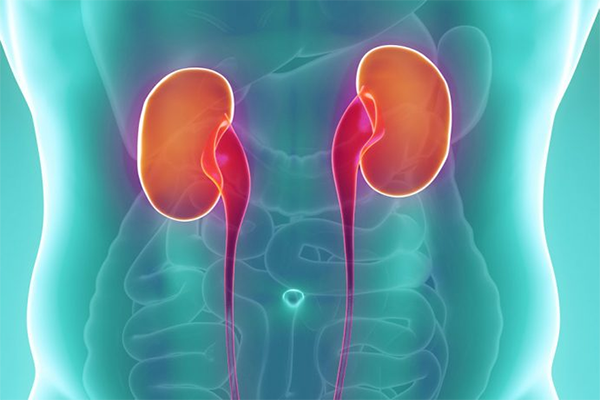 What are the Causes of Kidney Problems? Suppression of the urge to pass urine. Drinking water less than 3 liters or drinking water more than 5 liters in a day. Excessive consumption of salt in the diet. Excessive intake of painkillers, drugs or antibiotics. Excessive intake of non-vegetarian food. Patients suffering with hypertension or diabetes are more prone to kidney problems. 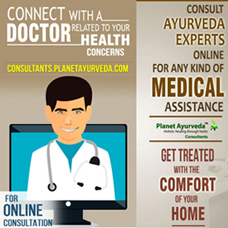 Chronic disorders such as heart and liver problems, jaundice, paralysis, T.B., psoriasis etc. Intake of drugs, alcohol, tobacco etc. Excessive consumption of cold drinks. Formation of stones, cysts or poly cysts in kidneys. Deficiency of vitamins and minerals. Excessive intake of protein in the diet. What are the Symptoms of Kidney Disorders? Redness of the eyes on waking up in the morning. Allopathic doctors have made a false assumption that there is no cure for chronic kidney disorders. In modern medicine, kidney disorders are not treated successfully because doctors do not find the root cause of kidney failure and they just suggest kidney transplant, but a transplant is not a permanent and appropriate solution of kidney problems. Whenever a kidney patient goes to the doctor, doctor pretends to understand the problem of patients and sees the test reports and suggests the patient undergo certain tests such as ultrasound/sonography, CT Scan, Glomerular Filtration Rate (GFR), microalbumin, kidney doppler test, biopsy, etc. In modern medicine, there is no injection or medicine that can treat completely Chronic Kidney Disease. Patients whose kidneys are damaged due to an accident or chronic injury and there is no hope of its getting back to previous condition should go for kidney transplant. But patients whose kidneys are affected due to disorders such as high blood pressure, diabetes, prostate problems, liver problems, thyroid problems, skin disorders, auto-immune disorders, formation of stones or cysts should think before getting their kidney transplant done because in these cases, the root cause of kidney problems should be treated first. According to modern physicians, the kidney that is transplanted can survive for only 12-14 years. So, a kidney transplant is not suitable for children or teenagers. Patients who have undergone transplant cannot live a normal life and, in some cases, patients have to undergo more than one kidney transplant. It can make the patient depressed because economically weaker sections of the society cannot afford such huge expenses of kidney transplants. Moreover, patients cannot live to enjoy good health after transplant as patients have to rely on medicines lifelong which further damage their health. So, it is advised that prevention of kidney diseases is most important or if there is kidney disorder, consider all the alternative treatments first, if there is no option, then consider a kidney transplant.